Supplied as 15 ml bottle of resin this is a medium to low viscosity windscreen repair resin. It is stronger, more weather resistant, and has an enhanced refractive index. It can be used used with bulls-eyes and combination breaks. This resin has a subtle grey colour for use on any heavily tinted windscreen by Technicians who are always looking to always raise the bar and who may have a fine eye for detail. Typical temperature use for this between 65-85 degrees F.
Supplied as 15 ml bottle of resin this is a medium to low viscosity windscreen repair resin. 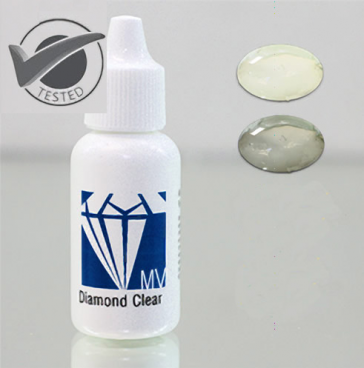 It is stronger, more weather resistant, and has an enhanced refractive index. It can be used used with bulls-eyes and combination breaks. This resin has a subtle grey colour for use on any heavily tinted windscreen by Technicians who are always looking to always raise the bar and who may have a fine eye for detail. Typical temperature use for this between 65-85 degrees F.